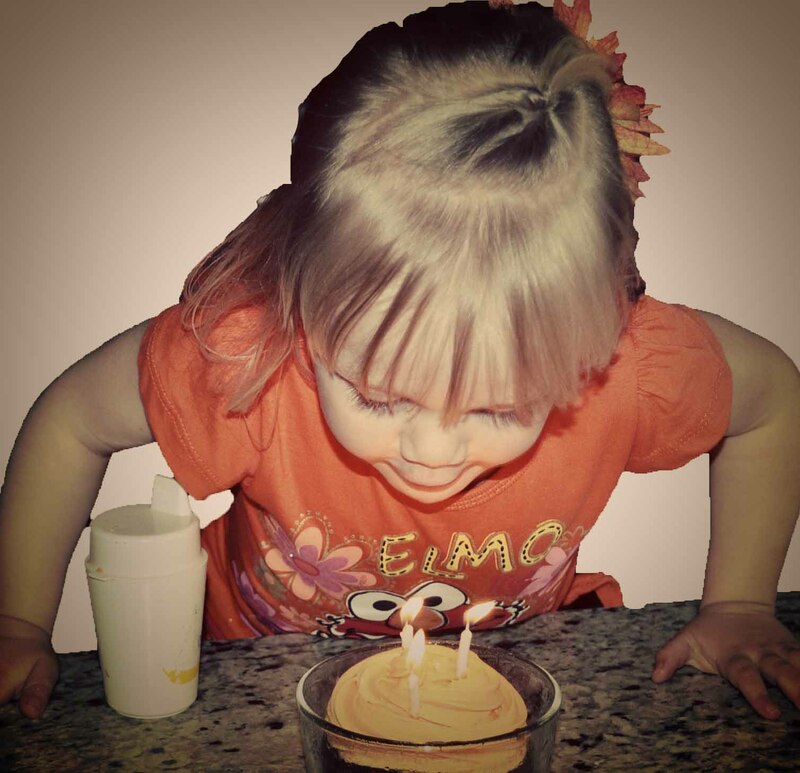 This is McKenna’s last Toddler Summary! Next she is moving on to Preschooler Summaries! And I can’t believe it so I am using lots of exclamation points!!!!!!!!!!!!!!!!!!!!!!!!!!!!!!!!!!!!! She still has not had any ear troubles since getting tubes put in and tonsils taken out in January. It is nice that she is not in a constant state of sick. Eating continues on as normal. She does seem to have more concern over playing than she used to. Food used to be number one priority, but now she will insist she is done eating so she can go play even when I know she would likely eat more. I don’t force her to eat more–I let her make that choice but I do make it clear that when she leaves, we clean up the meal and she is done. Playing is all the same. Sleeping for this actual month (the month leading up to three) was all great and perfect. I am writing this a week after she turned three, however, and in this week, she has changed some things, so I want to mention those in case they are resolved by the next post and I forget they ever happened. McKenna has always been a sleep until the 8 o’clock hour girl. If she isn’t up by 9, I get her up. Well, this past week she has been waking in the 7 AM hour. My theory is she has figured out that if she wakes earlier, she gets to see Daddy. I don’t know if I have ever mentioned, but McKenna and her Daddy have a very special bond. They share a birthday and are kindred spirits in many ways. She adores him. He leaves for work a little before 8 AM each day, so she has discovered that waking earlier means more time with Daddy. That is the theory right now, anyway. So we are working out how to work with this. The time she is waking is not a problem. Brayden gets up at 7 AM. Kaitlyn 7:15 AM. So it is no issue to have her awake in the morning, also. In all honesty, it was easier to have her sleeping while I spent an hour getting Brayden and Kaitlyn ready for school, but we can work her in, too. Plus, in June we plan to move Kaitlyn and McKenna into a room together, so she is going to be in a room with a 7:15 AM waker anyway. The issue is that her getting up earlier suddenly hasn’t changed her high sleep needs. Because she slept so late, her nap was at 2:30. Well, I don’t think that is working out so great anymore because she is up at least an hour earlier. So I need to tweak nap time. She might even need a longer nap since she cut an hour off of night sleep and an earlier bedtime isn’t going to really work. So this is what I am currently working on. Hopefully I will have some solution to report in the next summary. McKenna did well with ice skating. That is now over. She passed her swimming class, but I don’t think she should have. We now have our kids in private swimming lessons. We found a teacher that charges $1 more per lesson per child than we were paying before. They get 20 minutes solid one-on-one with her, where in the class they were one of 4-6 kids with one teacher and a 30 minute time slot, so the one extra dollar is more than worth it. With the private teacher, we are now allowing her to go under water some. McKenna can be a very, very stubborn girl. She surprises me at how well she listens to her teacher when her teacher wants her to do something McKenna doesn’t want to do. I am happy with her obedience. But she isn’t giving in full effort. Her teacher told me children like McKenna often take some time to make initial progress. I fully expect and accept that. I am sure when she gets over her fear, she will move along really well. She is very athletic, very strong, and very fearless. Honestly I am glad she has a healthy fear of the water–I worried she wouldn’t be scared at all. The fear can be worked with, but it is hard to instill a fear if it isn’t there without something scary happening. Brayden and Kaitlyn both started out very scared in the water and are fine today (though Brayden is still quite cautious). McKenna loves the water, loves to play in the pool, but does not love to have her head dunked in the water. She will blow bubbles and she is quite comfortable in the pool if you aren’t trying to get her to do bobs or to float on her back. I do wonder if the tubes could be annoying her. She tells me it doesn’t bother her, though. I might need to try some earplugs for her and see if that changes things…. McKenna loves to play with dolls and doll accessories. She enjoys little dolls, like Little People stuff, and their houses or castles. She also loves dress up clothes. Those are her favorite passions. She enjoys playing ponies and Pet Shops with Kaitlyn, but never really wants to play with them alone. She also enjoys building Lego Duplo creations. She will do this alone, but obviously does it in order to impress Brayden (his passion is Legos). So she essentially likes to play with just about anything, but obviously does some of it because her siblings do. The dolls and dress-up her definitely her unique passions.